Barnes is a popular area in South West London. Families love the area for the quality of housing, schools and the friendly village feel. The area’s chic ambience and range of boutiques, galleries and restaurants appeal to both professionals and families. 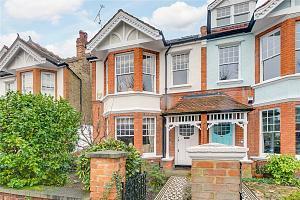 Properties range from cute cottages to larger Edwardian and Victorian houses. Popular apartment blocks and modern developments, such as the desirable Barnes Waterside development, are located closer to the river. Barnes isn’t known for raucous night clubs but instead offers its residents a good range of quality bars and pubs, creating a laid back and friendly social scene. The Bull’s Head on Lonsdale Road is well known throughout London as an excellent, intimate jazz venue. They also serve a wide range of pub food and craft ales. Barnes has plenty of green space and sporting facilities, including numerous playing fields and a squash club. Barnes Pond, located in the centre of the village, is a well-loved local focal point. Our Barnes office sponsors the Barnes Common-keeper who maintains the pond and Barnes Green, keeping the area green and pleasant. Barnes is also lucky to have the London Wetland Centre on their doorstep, a large nature reserve owned by the Wildfowl and Wetlands Trust which is home to a large number of birds and other wildlife. Barnes has a selection of quality restaurants to choose from, many located right on the river. There are also a number of independently owned shops and boutiques. The Olympic Cinema is a refurbished, deluxe cinema with an amazing café and bar and the dinner menu could easily match that of a top quality restaurant. During the day visitors can select handmade pastries and cakes from the visible pastry kitchen where the pastry chef works in full view. The quality of schools in Barnes is a major draw for families. Local state primaries are Barnes primary, Lowther Primary and St Osmonds Primary. Private options include the Harridoan School, St Paul’s Boys School and the Swedish School which offers Swedish education from primary school age to sixth form. Barnes doesn’t have its own underground station but instead has two mainline stations, Barnes and Barnes Bridge. Both have frequent services running to Waterloo. Just north of the river is Hammersmith Underground station with regular District, Circle and Hammersmith & City line services. The station is easily accessible thanks to the regular bus services running between Barnes and Hammersmith. "With good transport links, great restaurants and brilliant schools; Barnes has a great sense of community." 68-69 Barnes High St, Barnes, London, SW13 9LD. 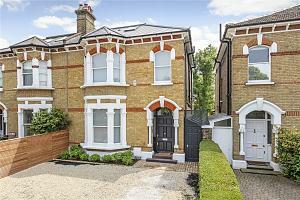 192 Castelnau, Barnes, London, SW13 9DH. 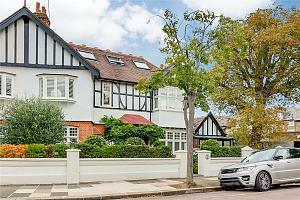 If you are looking for a property in Barnes, please get in touch by calling or pop into our office. For more information, contact the local property experts in our Barnes branch.